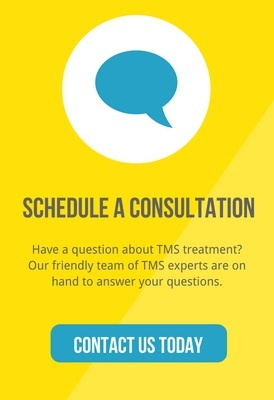 TMS is highly effective for many patients seeking relief from depression but there are a few factors which appear to increase the likelihood of efficacy and improve mood when used alongside TMS treatment. In my experience a patient’s attitude — and even small efforts towards physical health — play a significant role in generalized mood, the management of depression and ability to cope with stressors. Patients who see the longest lasting results from treatment are often those who use TMS as one tool in the toolbox for overall health. The link between mental and physical health is powerful. When one area or the other starts to slip, it almost always affects the other, and this can be a difficult cycle to break. When depressive symptoms begin to worsen it is helpful to evaluate daily habits to see where small improvements can be made to manage depression effectively. Something as simple as drinking more water during the day can greatly increase the level of brain function. Lack of water can cause or exacerbate a number of symptoms including concentration, mental fatigue, depression and trouble sleeping. In the same way, eating regularly and healthfully as well as limiting caffeine intake can also have great effect on mood, providing energy to the brain. Physical exercise each day, even in small amounts, releases endorphins and is an easy way to relieve stress and lighten mood. Even a small walk can help center and bring perspective on a situation. As a technician I have worked closely with many patients seeking relief from depression through their treatments, and I have talked to each of them about their daily habits and strategies. While TMS is a great tool in fighting depression it should not be seen as a stand-alone “miracle cure.” The majority of inspiring results are seen in those who integrate treatment with healthy habits to create the best possible outcome and quality of life.